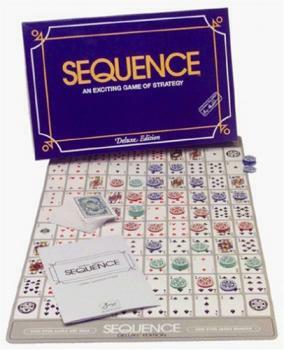 The Sequence board game is the commercial version of an old card game called Jack Foolery. It is an exciting game of strategy for two to twelve players and is simple enough for children but still a challenge for adults. It is a great addition to a family game night and is suggested for players age seven to adult. Besides having a great time with friends, the object of the game is to get the correct number of five chip sequences, in your color, on the board. The number of sequences required to win is one or two depending on the number of players, or teams, involved in the game. If you are playing the game with enough players to require two sequences in order to win, you can use any of the spaces from your first sequence as part of the second. If only two players or teams are playing, then use only the blue and green chips. The red chips are brought into play only when there is a third team playing. The Joker cards are not used during the game, so these should be set aside. 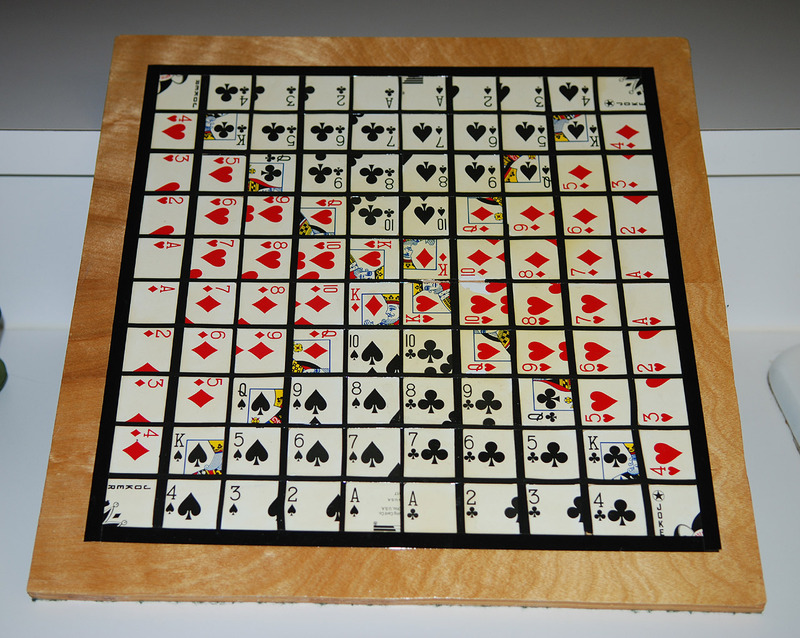 The game board depicts the 104 playing cards. Each card, except for the Jacks, is represented on the playing board twice. The four corners of the board are left blank. They are the wilds and any sequence of four chips that includes one of these squares creates a sequence. The Jacks are special. The two-eyed Jacks allow a player to place a chip anywhere on the game board except the wilds. A one-eyed Jack will allow a player to remove any chip belonging to an opposing player from the board. 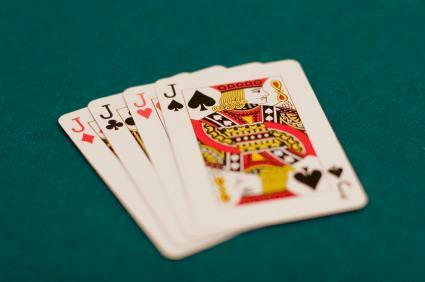 Each player will need to use the Jacks carefully to maximize the value of the card. Each player is dealt a certain number of cards, depending on the number of players. Players take turns laying down one card and placing their chip on the picture of the corresponding card on the Sequence board. Game continues as players attempt to place their chips in a sequence of five, either horizontally, vertically or diagonally. At the same time, players must try to keep the other team from achieving a sequence. Once a player lays down a card, they draw another. If a player does not draw a card before the next player discards, they cannot draw a card on their turn. This gives them a disadvantage in play. If the game is being played with teams, the team members cannot alert another player to a bad move or coach him in any way. If they do so, each team member must forfeit a card. Play continues in a clockwise direction until someone gets the required number of sequences and wins the game. The complete rules of the game can be viewed at the official Jax website. There are other versions of Sequence, and you can even make a homemade Sequence board and create your own homemade game. Sequence board game is great to play with a few close friends or at a party. Watch out for the Jacks, though, they can quickly change the outcome of the entire game.